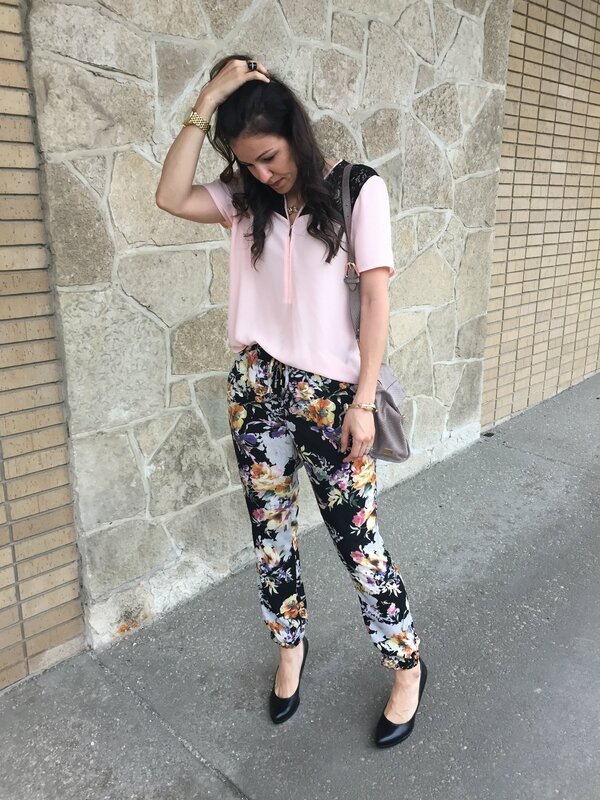 The jogger pant has truly become a favorite of mine! They are so comfortable, yet you can make them super chic when dressed appropriately! This is the second pair I found on my Costco run last month. 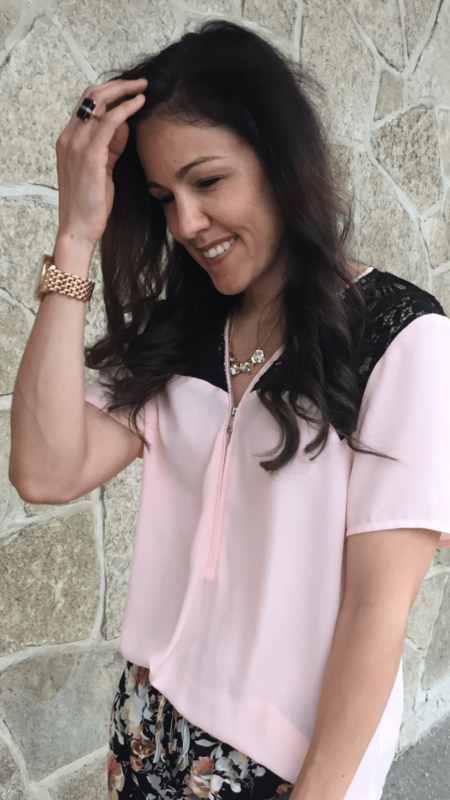 The floral is so fun and great for spring. I paired it with a lace-detailed blouse I got last year at Nordstrom’s Anniversary sale, yet haven’t worn. 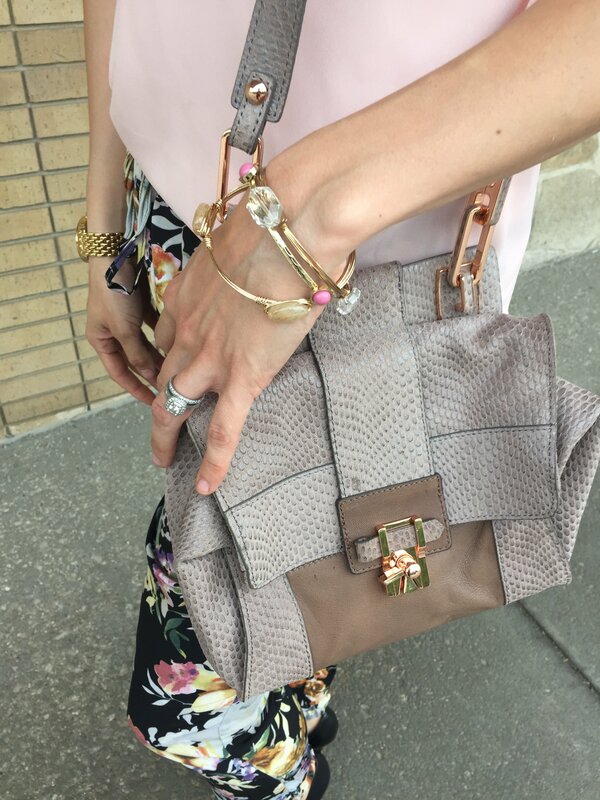 I think they work beautifully together and creates such a girly, feminine look! Accessories were kept light with a simple necklace, some bangles and basic black pumps because I wanted the pants to do most of the talking. What do you think, have you gotten into the jogger pant yet?? ?